Durban, South Africa, 9 July 2000 — On the eve of the XIII International AIDS Conference, the medical aid agency Médecins Sans Frontières (MSF) released a report demonstrating how some developing countries have already significantly reduced the prices of AIDS drugs, and suggested steps to replicate and expand upon these successes. 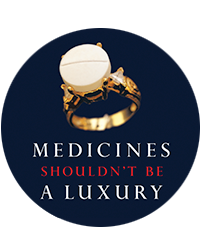 By producing quality generic medicines, countries such as Brazil have made AIDS drugs affordable to tens of thousands of people who would otherwise go untreated because they could not afford branded products. Through an analysis of ten essential drugs for HIV/AIDS in 8 countries, the report, entitled ‘HIV/AIDS Medicines Pricing’, shows how the minimum price for AIDS drugs in the developing countries studied is on average 82% less than in the US. This difference has not resulted from discounts by multinational companies, but rather from generic competition and initiatives by national governments. In parallel to the efforts of individual countries, the report also recommends the UN, led by UNAIDS, should develop a system to facilitate the bulk purchasing of AIDS drugs by putting out a tender to multinational pharmaceutical drug companies and local and international generic producers. In the report, MSF challenges the international community to take immediate steps to bring antiretroviral prices down to levels that would be affordable to people in developing countries. The report states that through dramatically expanded generic production and bulk purchasing, the price of antiretroviral treatment could be reduced to as little as US$200 a year. This target price contrasts sharply to US$2,250 price that would result from the recently announced UNAIDS public-private partnership (85% reduction off the current global price of triple drug therapy of $15,000). MSF cited the UN vaccine and contraceptive programs as models of what can be done when international organisations, national governments, and the drug industry work together to dramatically increase access to essential medical interventions in poor countries. These efforts have created dramatic price differentials between developing countries and wealthier nations: oral contraceptives cost US$0.14-0.23 per month through the UN and US$30 in the United States. When countries are barred from accessing low cost drugs due to the exclusive marketing rights of the patent holder, international organizations should actively support the efforts of developing countries to improve access through parallel imports, and voluntary and compulsory licenses. In addition, the report shows that justifications for high prices of originators’ branded products are overstated. Public investment in AIDS drugs has been significant: 5 out of 6 of the antiretrovirals analysed in the study received public funding and the patents for drugs (didanosine and stavudine) are held by public authorities.